Express Entry allows Canada to actively recruit, assess and select skilled immigrants under the following federal economic immigration programs: the Federal Skilled Worker Class, the Federal Skilled Trades Class, and the Canadian Experience Class. The Provincial Nominee Programs (PNPs) allow Canadian provinces and territories to nominate individuals who wish to immigrate to Canada and who are interested in settling in a particular province. Discuss your PNP options in this section. Discuss Canada’s pathways to permanent residence for caregivers. Discuss Canadian Immigration options for managers, business owners, entrepreneurs, and self-employed individuals. To be granted asylum in Canada as a refugee, a person must be outside his or her home country and have a well-founded fear of persecution. 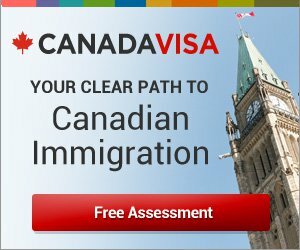 Learn about work in Canada and temporary Canadian Work Permits. Share your Canadian job stories and discuss how to find meaningful work in Canada. Many Canadians are self-employed. Learn from their experiences and discuss how you can start your own business in Canada.